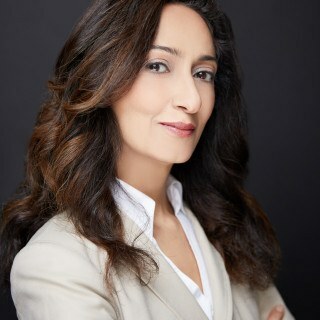 Fariba is the founder of the Law Offices of Fariba Faiz, based out of San Francisco, California. Attorney Faiz is an experienced immigration attorney with a proven track record of successfully petitioning in the realm of investment immigration (E-1/E-2 visas and direct and regional center EB-5 projects), family-based immigration, and employment-based immigration. Fariba works with multinational firms and their employees and immigrant investors in partnership to transfer, intra-company, foreign personnel and their families to the United States. We partner with employers and employees in various industries including information technology, pharmaceuticals, biotech, finance and banking sector, hospitals and healthcare providers, architectural design firms, and educational institutions. Fariba also represents a private client practice representing individuals in immigration matters before USCIS, U.S. consulates abroad, and the U.S. Department of Labor. Fariba and her network of trusted advisors also provide consultations to potential investors and their agents on matters such as foreign direct investment; I-9 compliance. The Patriot Act and its regulations on foreign investments and blocked transactions proscribed by the Office of Foreign Assets Control; site location analysis and transfer of foreign employees; in-bound investment missions; International Tax Planning; Export Credit Agency (ECA) Project & Trade Financing; and Transfer Pricing, and consultations to employers on benefits. Ms. Faiz is a graduate of Southwestern University School of Law in Los Angeles and completed her Bachelor's Degree at University of California at Berkeley. ?Ms. Faiz has been a member of the California State Bar since 1998. She is admitted to practice before the United States Federal Court of the Northern District of California, the U.S. Court of Appeals for the 9th Circuit as well as the Supreme Court of California. She is an active member of the AILA.